LEASED for 2019-2020 Season. Stunning elevated views over the lake on Arroyo #2. This is your perfect winter home within the prestigious guard gated Indian Ridge Country Club. Newly Remodeled and Updated Bougainvillea 1 model with PRIVATE POOL/SPA. You'll love the BBQ and outdoor heater. 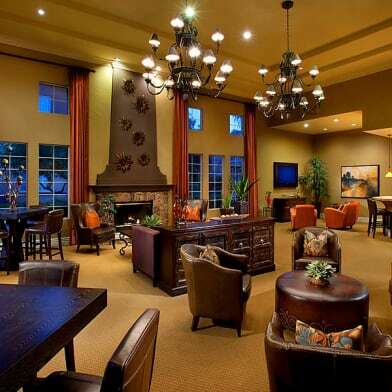 Large great room with porcelain tile flooring and gorgeous fireplace. Seating at granite wet bar and at long kitchen counter. Kitchen upgraded with granite and stainless appliances. All three bedrooms feature a private bath. Master bedroom looks over fairway and lake and has an elegant bath with tub and shower. Wireless internet and TVs in bedrooms...this home is well appointed. Sleeps six. Small dog considered. Owner has IRCC Club Membership...Golf and Club Seasonal membership options are available for tenant. Have a question for 956 Mesa Grande Drive?